My girlfriend and I were visiting the Georgia Aquarium a few weekends ago when we heard these words. 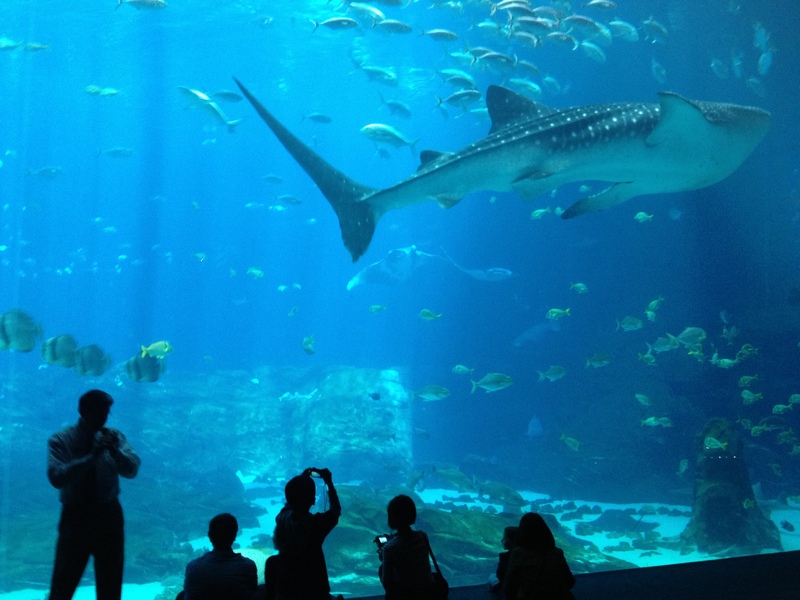 We were standing in awe of the magnitude of the attraction, blown away by the wonders inside one of the largest aquariums in the world. One guide was telling us about fish who have been born inside the aquarium. He said those words to us, and that the water is so big these fish don’t even realize they’re not in the ocean. Of course they don’t. How could they? They’ve never experienced anything other than the aquarium. They don’t realize there’s a whole other world out there beyond the bubble they are in. Do we? Do we realize there’s more to our life than the bubble we were born into? Do our neighbors? Do our friends? Do our families? They won’t unless someone tells them. We have to take action. That’s not always the first thing we want to hear in our lives. We’d rather let God take care of the work. If God could just not disturb us from what we’re doing, we’d like Him a lot more. I’ve got bad news: God is disturbing. He disturbs us from our slumber. He wakes us up from the dream that everything is fine in life. He shines a spotlight on us when we most want to be left alone. When we have time to plan for mission trips, when we know we have to be at church on Sunday morning at 9:45 a.m., we’re OK with being on fire for God. But when God calls us to action at 11:30 on a Tuesday when we’re late for a meeting, we’re not so good with improvising. Unfortunately, that’s what we signed up for. If you give yourself over to God, He will disturb your life, just like He did with Esther. Esther was just your average Jewish woman who happened to become queen through a series of fortunate events. Her life was going about as well as possible, until one day her husband signed a decree to have all the Jewish people killed. That is disturbing. Esther did not want to face the dire reality of her situation, until her cousin Mordecai shook her awake. He told Esther if she did not act, God would still come through for His people, but she and her family would surely not survive. “You were placed in this position for such a time as this,” he told her. Esther knew. After Mordecai’s encouragement, she risked her life to save many other lives. She recognized her world was bigger than the bubble she was floating around in. What about you? Do you realize there’s more to life than this aquarium we’re in? Are you living for something greater? Do you live knowing God created you for such a time as this? God wants to shake you from your complacency. Stop hitting the snooze button. Refuse to swim into the same walls over and over again. Be disturbed by God. God meant your words for me this morning. I am disturbed! Being asked to raise money for a dear friends church, which is waaaay outside my box! I have no idea how to do this, not my “gift” so to speak. The Lord is shaking my belief in myself, and in Him, as I question that He would ask me to do something which He would not equip me to do. That first step is always the most difficult. I pray for boldness and confidence to accept the challenge. Thank you once again, Alex, for inspiration and encouragement. The words we speak are like ripples in a pond – once spoken, they go on, and on and on…….. Thanks so much for your support. Keep stepping out in faith, God will continue to provide the guidance and strength you need.